Jim Brinkley was born and raised in the Green Hills of Northern Missouri near the city of Milan on his family's farming operation. He graduated high school from Milan in 1979 when he began a joint feeder-cattle venture with his future father-in-law Hugh Morehead. In 1980, Jim married Hugh's daughter Sherry and they have made Milan their lifelong family home. Jim grew up working at his father's Ford/Case/New Holland machinery dealership in Milan. Shortly after the birth of their daughter Crystal, in 1984, Jim and Sherry purchased 50 head of commercial cows, which quickly grew to over 200 head. That same year, Jim and Sherry purchased their first farm of 220 acres. Today the Brinkley family diversified farming operation has grown to more than 1,300 acres and 400 registered Angus cows. In 1987, their son Justin was born and today Crystal and Justin work with their father in their multi-generation family farming operation. In 1989, Jim attended the Missouri Auction School in Kansas City, Missouri following the footsteps of his father-in-law who was an auctioneer and nationally known partner of the famous Kansas City Stockyards. 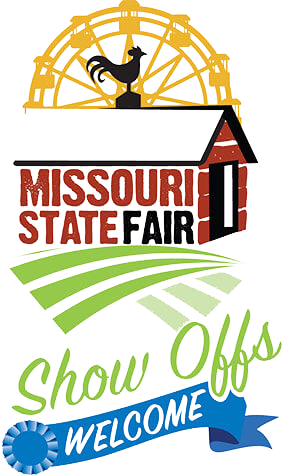 After graduation from auction school, Jim sold at various locations in Northern Missouri including the Green City Livestock Auction and the Milan Livestock Auction, in addition to selling many local estate and public auctions in the area. 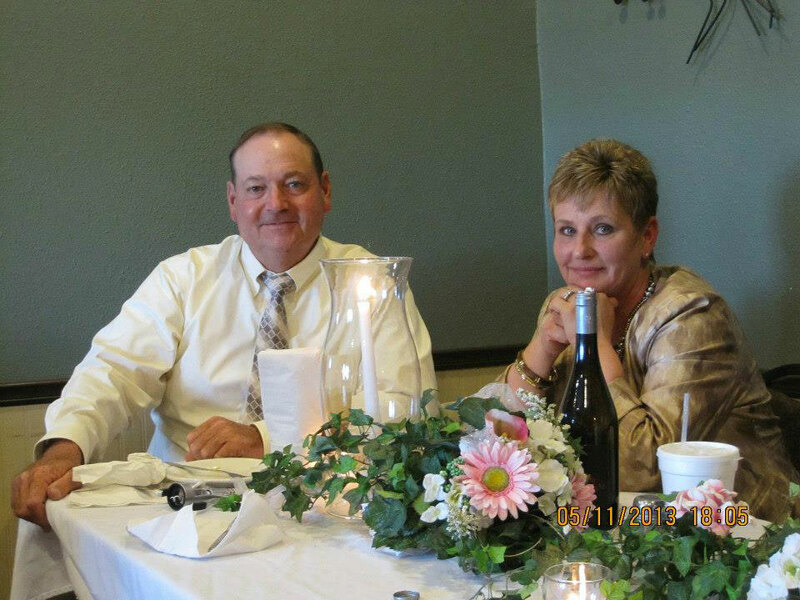 Through the years, Jim has worked as an order buyer at numerous Missouri Livestock Markets and represented and purchased many feeder cattle in the Green Hills of Missouri. As the Brinkley Angus Ranch herd has grown, Jim's time and energy have been focused on marketing feeder cattle for those who purchase and use bulls from his breeding program. The Brinkley family's evolution into the seedstock segment of the beef industry began in 1992 with the purchase of 30 Charolais cows and the sale of a few Charolais bulls in the Green Hills of Missouri. After observing the growth and expansion of the influence of Angus across the beef industry, Jim became a member of the American Angus Association March on 29, 1995. During their transitional year of 1995, Jim and Sherry sold their Charolais herd and purchased 60 head of Summitcrest Angus cows from the family of the Certified Angus Beef pioneer Fred Johnson. Having used Summitcrest Angus bulls on his commercial cow herd and working closely with the sales of both feeder and finished cattle, Jim recognized Summitcrest as a unique and valuable source of carcass genetics before those genetics were commonly available in the Angus breed. That forward thinking established a strong foundation for Brinkley Angus Ranch (BAR). In 2000, Jim and Sherry were drawn back to Summitcrest and purchased an entire age group of mature Summitcrest foundation females that had stood the test of time. After this purchase, there was no turning back for Jim. Since that time, he has steadily enhanced the genetics of his registered Angus herd through Artificial Insemination and the use of both conventional Embryo Transfer and IVF work. With the assistance of good friend Mark Rohr of Lazy H Ranch, Jim and Sherry held their first Angus bull sale on March 22, 2003 at Green City Livestock Auction, Green City, Missouri selling 20 Angus bulls. By 2018, that sale had grown to 100 bulls per year at auction and numerous more at private treaty. The annual Brinkley Angus Ranch bull sale has become one of the top events of the spring sale season in Missouri. With Jim's background in both livestock marketing and commercial beef production, Jim is dedicated to helping his customers maximize their return from an investment in BAR genetics. Each spring, the month of May finds Jim Brinkley helping his customers and neighbors synchronizing and A.I. breeding their commercial replacement heifers. In the fall of 2013, Jim was the cornerstone of founding a first of its kind bred heifer sale at Green City Livestock Market, featuring bred heifers that met minimum criteria for the GeneMax genomic testing results, and that were sorted and sold in groups based upon that cutting-edge data. Jim has hosted Brinkley Angus influence feeder calf sales and often places customer cattle into feeding programs where their calves are rewarded for the added value he has bred into the bulls that have sired the calves. Some of the top commercial cattlemen in the famous Green Hills rely upon Jim Brinkley to provide them with the genetics they need to be profitable and successful and his customers that retain ownership or feed their own cattle have enjoyed exceptional returns from their investment in BAR genetics. The Brinkley family farming operation includes row cropping over 1,000 acres of soybeans and corn, in addition to its registered Angus operation and its service projects with customers across Northern Missouri. Jim and Sherry have three grandchildren six years of age and younger that are a source of great pride and a joy to them. In addition to serving as president of the Missouri Angus Association, Jim serves on the University of Missouri Thompson Farms Advisory Board and is a member of Saint Mary's Catholic Church in Milan. We have been bull customers of Brinkley Angus Ranch from the very beginning and only have Brinkley Bulls in our cow herd. We love the performance we get from our calves on feed and get an outstanding group of replacement females to choose from to place back in our herd. Jim and Sherry offer outstanding service and a guarantee on their bulls that is second to none. When you buy a Brinkley Bull you do not just buy a bull, you buy a program that remains with you for years to come. We have and will continue to build our herd on Brinkley Genetics. 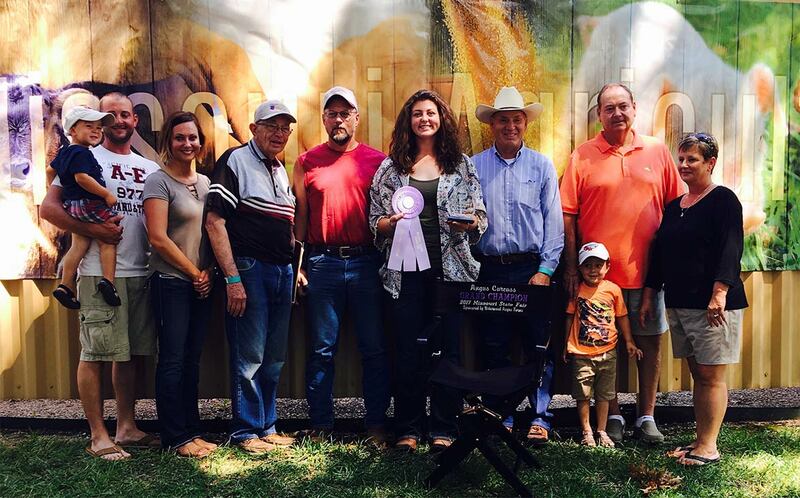 Brinkley Angus Ranch (BAR) offers sincere congratulations to Haley Fitzpatrick of Wheeling, Missouri, for having the Grand Champion Angus Carcass Steer at the 2017 Missouri State Fair. Haley purchased her champion carcass steer, as well as her additional two steers both placing in the Angus Carcass top-10, from Brinley Angus Ranch and are out of V A R Xfinity 3009. Haley's champion carcass steer dressed 868 pounds, graded High Choice, Yield Grade 2, and had a 15.5 square inch rib eye. It is no secret Haley works tirelessly to produce top-quality animals each year. Her hard work has been demonstrated many hours at the BAR in a variety of capacities. We're proud of Haley's success and look forward to following her very bright future.